Avista is the San Francisco Bay Area and SoCal leader in outdoor movies. If you already have a projector and sound system, Avista rents outdoor movie screens to display your outdoor movie brilliantly. 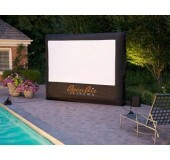 If you need a complete package, check out our Outdoor Movie Rentals page or our perfectly tailored Packages. Watch a blockbuster with your friends & family. A perfect backyard-sized screen for up to 50 viewers. 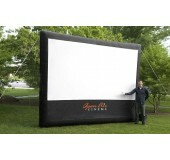 This inflatable screen rental is great for schools, apartments, churches or any audience up to 150 people.